A local driver who barely made it out alive from her engulfed car and an Ohio mother who watched her son burn to death are demanding answers when the Kia and Hyundai CEOs are called to testify before the U.S. Senate next month. The call for the automakers to testify on Capitol Hill comes six months after Consumer Investigator Jackie Callaway first reported on the unexplained car fires. The ABC Action News I-team has uncovered more than 200 spontaneous fires involving Hyundais and Kias and has been pushing federal regulators, lawmakers and the car companies for months for answers. Finally this week U.S. Senators asked the car company CEOs to testify before congress Nov. 14 – and answer questions about what’s causing these fires. Nash watched helplessly as her 48-year-old son, Keith Nash, burned to death – trapped inside her 2014 Kia Soul after it caught fire outside her Cincinnati apartment. Now she’s demanding U.S. Senators get to the bottom of what happened. 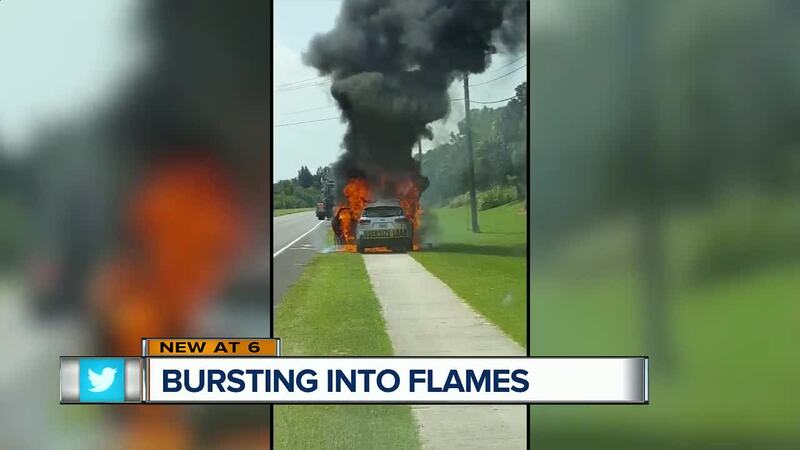 Ronni Rivera, who lives in Lakeland, said her 2016 Sorento exploded and burst into flames without warning as she drove down the road last year. “I want to know what caused this and why did I almost die,” said Rivera.